I arrived into Port Elizabeth to an extremely buzzing city: the annual Port Elizabeth Iron Man competition was well underway, with the first man just crossing the finish line as I arrived (after a gruelling 8 1/2 hour long race!). It was the perfect setting to arrive to take part in Oyster’s sports coaching programme, working with underprivileged kids in some of PE’s poorest townships. The project was everything that I expected it to be, and much much more. Arriving at the sports field on my first day, I saw our 20 volunteers all leading sports coaching stations: from football to cricket, from rugby to netball, from hockey to basketball. Organised into groups, you will be playing with the kids, doing drills with them, sharing your knowledge of sports in a way that really excites and motivates these kids- and you get to have a good run around with them too! One of the most amazing things to see on the programme is how much the kids at the various schools we work with depend on it, and how much they love it. The sessions are worlds away from the Physical Education lessons that many of us enjoy at school: the kids are desperate to play, they want to learn, and they are so enthusiastic. 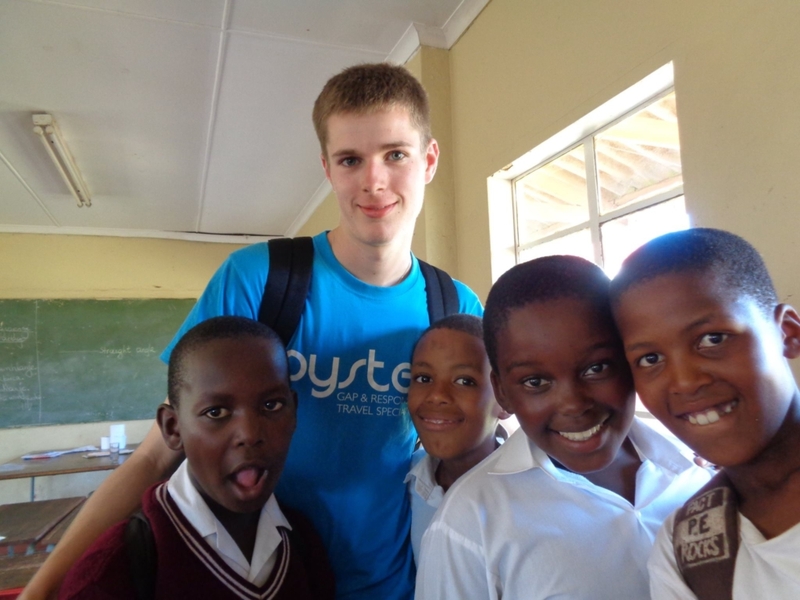 School in South African townships is regarded as the way out of poverty, and the kids are incredibly motivated. Many of the kids require feeding at school, as there is simply not the money at home for their parents to do so; coming to school to play games, learn a skill and be running about outside might well be one of the few occasions that they have to do this. Playing and enjoying your childhood does not feature so much when you grow up in this sort of environment- so you being here to play sports, teach sports and laugh with the kids is an incredible way to get an insight into a different side of life in the affluent and touristy city of Port Elizabeth, but also to make an incredible difference to many young lives, through doing something that you love. Whilst I was here, I spent time at the Schools of Excellence, where a few lucky children from the township schools are selected to go to some of the fantastic state schools on a sports scholarship, where they will receive an excellent education and play the sports that they love. The fact that you as a volunteer will have been working with these kids, helping them to get into these schools which make the future a much brighter place for them, is such an incredible thing to do. Even those who don’t make the scholarships have an afternoon of great fun once a week- and that is such a gift! Port Elizabeth itself is lovely, with great accommodation with swimming pool, table tennis- and even its own gym! 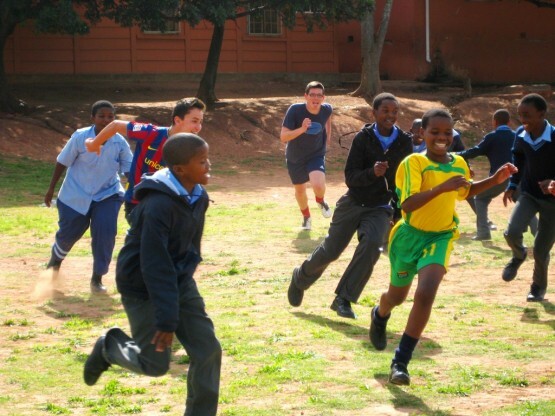 The groups are very sociable, and loads of extra activities are arranged at the weekends, so even though your daytimes can be quite tiring (kicking a football around all day, teaching kids to bowl a cricket ball or getting a game of Bulldogs going under the South African sun is no lazy feat!) there is plenty to do to help you relax in the evenings. Port Elizabeth has a vibrant nightlife, and is perfectly located for the world’s largest bungee and exploring the beautiful Garden Route. By the end of the three days spent here, I was beginning to formulate how I could do gap year sports coaching programme! “The past few months have been the best three months of my life. I was (slightly) apprehensive about my trip as I hadn’t been to an airport by myself before and the furthest I had ever travelled was to Cologne in Germany. I shouldn’t have worried. I got to South Africa reasonably easily and then the fun started. The school that I went to for teaching is in absolute chaos about 90% of the time but it is an amazing school and you very quickly get a good relationship with the kids. 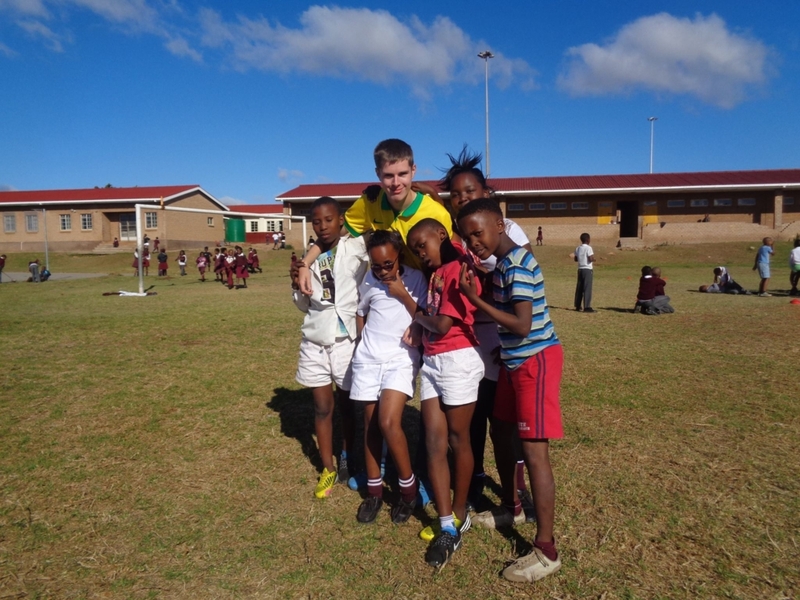 Teaching in South Africa can be hard but also very rewarding and I was very emotional when I left the kids behind! The highlight of the school day has to be lunchtime (even though it starts at 11am) as all of the kids want to be picked up, ask you what your name is, how old you are and they played with my watch, necklace and hair a lot!